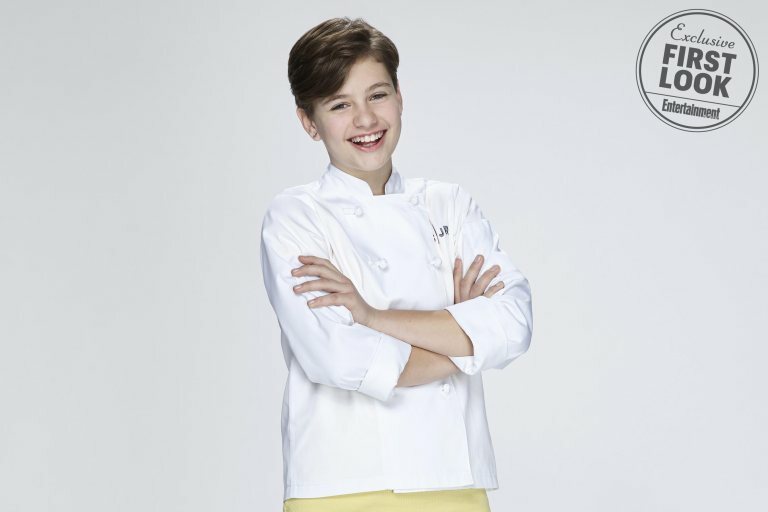 UNIVERSAL KIDS crowned 12 year-old Chef Nikki Bidun of New York City as the season two TOP CHEF JUNIOR winner on Saturday after a gastronomic showdown. The runner-up was 12 year-old Londyn Green from Atlanta, GA. The culinary kid drama, based on Bravo Media’s critically acclaimed and Emmy-award winning competition series Top Chef, featured twelve chefs ages 10-13 from across the country. The season finale brought Nikki and Londyn in a head-to-head challenge comprised of cooking a three course meal inspired by their family, a friend, and their journey on Top Chef Junior. Season 2 contestants Olivia, Noah, Carson, and Rogers served as sous chefs for the finalists. The meal was judged by special guest Emeril Lagasse, recurring guest judges Tiffany Derry and Graham Elliot, as well as host Vanessa Lachey and head judge Curtis Stone. In a close deliberation, Nikki was awarded the coveted title of “Top Chef Junior” and a $50,000 cash prize. Chef Nikki started working in the kitchen at two years old. As an only child, Nikki wanted to be a part of the action in the kitchen while her parents made dinner, enjoying tasks such as cracking eggs and decorating cookies and cakes. Living and dining in New York City, and riding shotgun to her parents’ passion for travel, Nikki has been introduced to new cuisines, cultures and styles which inspire her to create and experiment with seasonal ingredients and use new and classical cooking techniques. Nikki embodies a fierce competitive nature that gives her the drive to overcome obstacles. After missing the cut for the first season of Top Chef Junior, Nikki worked harder than ever to study and practice her craft to be one of the Top 12 chefs chosen for season 2. When she’s not in the kitchen, Nikki brings her competitive teamwork spirit to the soccer field where she’s a goalie. Winning Top Chef Junior has inspired her to take more chances in the kitchen and continue to learn from the chefs who influence her growth as a chef. Top Chef Junior is produced by Magical Elves, the Emmy Award-winning team behind Top Chef. For more information please visit www.universalkids.com and join the conversation at #TopChefJr.